SPRING 2019 REGISTRATION OPEN Closes February 1st 2019. Spring Baseball is open to all 13, 14, and 15 year old players in Bel-Mateo Babe Ruth. ONLINE REGISTRATION CLOSES ON FEBRUARY 1ST 2019.  The New registration fee is $380 for new and returning players. Fall 2018 players receive a $50 credit. This reduced fee is reflected at checkout. USA Baseball has adopted a new method for measuring bat performance in the testing of youth bats. Informed by the research of leading scientists and supported by its National Member Organizations, USA Baseball has concluded that recent advancements in science, engineering, technology, and the materials available to fabricate non-wood bats, now allow the manufacturers to construct youth bats that can perform at a wood-like level through the entire range of lengths and weights of youth bats. Make Up Date March 3rd 4:45pm at the Belmont Sports Complex. Any further registrations please contact Player Agent Doug Snodgrass or President Steve Vega for information.